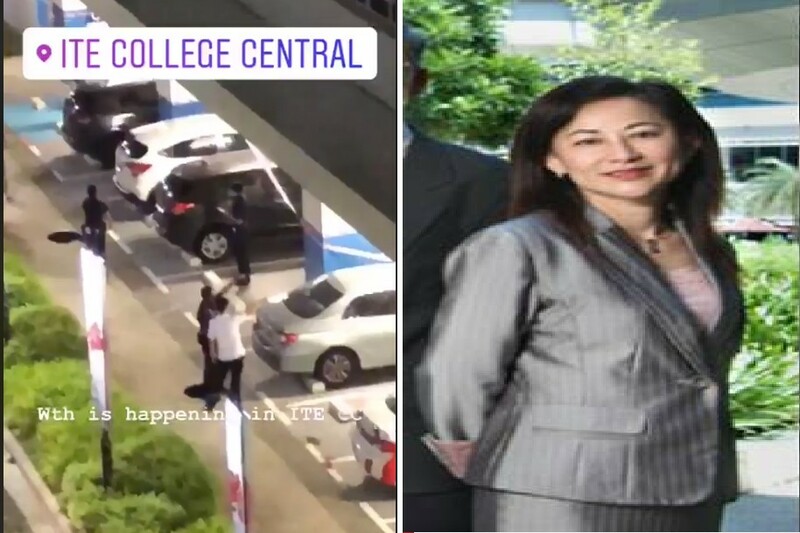 ITE examinations director Michelle Low was murdered at ITE college central was stabbed to death on July 19. Her 66-year-old ex-husband is currently the suspect in the incident. The incident happened at ITE college central car park, her ex-husband was also sent to the hospital with a stab wound in his stomach. We are deeply saddened by the passing of our staff, Ms Michelle Low Hwee Geok, on the evening of 19 Jul 2018. She was the Director of the Examinations Division at ITE. She was very well regarded by her colleagues for her warm personality, as well as passion and professionalism in her work. We extend our deepest condolences to her family and would be providing them our support during this difficult period. ITE management has met the staff in the Examinations Division this morning to ensure their well-being, as well as provide support and counselling. This is an isolated incident involving a staff and her ex-husband. We would like to assure students, staff and members of the public that security measures are in place to safeguard the safety of our campus. As the case is under police investigation, we are unable to comment further. Previous ArticleMAN SET TRAP TO CATCH BIRDS. IS THIS POACHING?